The Linux Foundation and AT&T Labs Research and the member institutions of the ONAP community are organizing an ONAP Academic Summit. This event will provide an ONAP tutorial, hands-on experience with ONAP, and will highlight some of the exciting Research opportunities. This event is open to academic facility, graduate students, and postdocs. 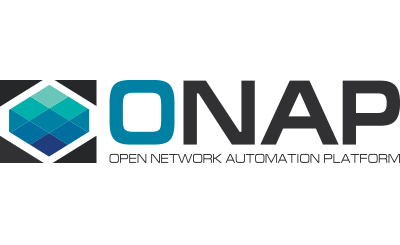 To apply, attendees will be required write up a half-page bio and a paragraph about their research work and interests in ONAP and/or SDN technologies. The NSF is also sponsoring travel grants for qualified academic attendees (particularly students). Attendees who need financial support are encouraged to apply for the travel grants. Higher priority will be given to students who demonstrate serious research interests in ONAP/SDN and who would not be able to attend the event without a travel grant. The evaluation will be based on the registration write up detailed above and a letter from the advisor stating the financial need. If applying for the travel grant, please include your advisor letter in your event application. DEADLINE EXTENDED! Applications must be submitted by September 26, 2018. Applications submitted after this date will still be considered, though space is limited and subject to availability. Travel grants are available for attendees needing funding to attend. Please submit your request during the application process. The final date to apply for the travel grant is Wednesday, September 26. What’s needed for the application? Travel Grant – If you wish to apply for a travel grant, you will be required to provide a letter from your advisor. Submitting your application does not assume approval to attend. Once you complete the application, you will be contacted once your application has reviewed. There is no fee to attend the ONAP Academic Summit; however, a credit card will be required at check-out. If your plans change and you are not able to attend the event, please cancel your application prior to October 12, 2018. Otherwise, your card will be charged $75.00 USD no-show fee.